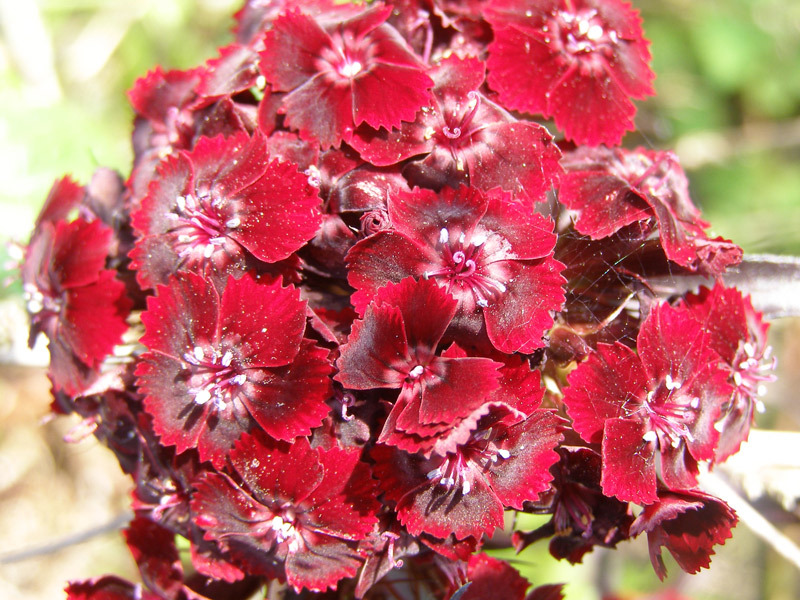 Rich dark red, strongly-scented flowers, not quite as dark as in 'Nigrescens'. The leaves are a rich dark black-purple significantly broader than in 'Nigrescens'. 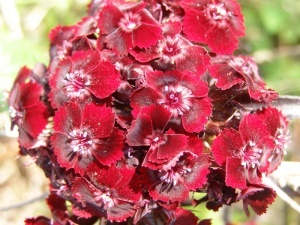 The rosettes are tighter and the whole plant is smaller and neater than 'Nigrescens'. Very vigorous and healthy leaves. 45cm. June. Any soil in sun. New. A clone, and not grown from seed. Selected from seedlings at Monksilver by Dr John Grimshaw and kindly named by him.